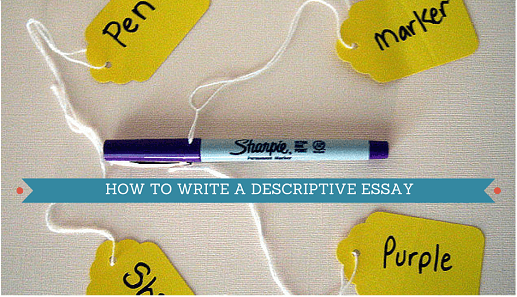 So…You Have to Write a Descriptive Essay. You’ve probably had these essay assignments before. You may have had to write a character analysis for a book review; you may have had to write an essay on your most frightening experience or your happiest Christmas. But you are in college now, and the simplistic and often boring descriptions that you wrote in high school will no longer do; just having a sound organizational structure and using good grammar will not be enough. You need to understand exactly what constitutes a good description and how you can create one. Writing a descriptive essay begins with the choice of a topic that lends itself to descriptive writing. Will you describe a person, a place, a thing, an experience or a memory? You may be given the topic and have no choice; if you have a choice, however, choose something or someone with which (or with whom) you have personal experience and that has evoked some emotional response within you. Why are you writing this essay? (And no, it is not because your instructor or professor has assigned it!). What is it that you want your reader to understand that you already understand? For example, if you are writing a descriptive essay about a person, is this someone you really admire or someone you think is completely evil? Or is this person multi-faceted, with both good and bad qualities? You will tell your reader this in your introductory paragraph. This is a very common piece of advice for descriptive essays. Let’s assume you are writing a descriptive essay about Scarlet O’Hare, a main character in Gone With the Wind. You might decide that she is selfish, manipulative, and ingenious. Your thesis, then will state that she is a multi-faceted person with a few traits that really speak to who she is. Scarlet gets word that Rhet will be arriving, and she is worried about her appearance, as she always if. All of her beautiful, fashionable gowns of the past are gone, and she is looking around trying to decide what she might be able to use. She sees a set of ornate drapes on a window and decides to take them off and have her one remaining servant help her make a gown from the fabric. Frantic that Rhet is arriving for a visit, and realizing that her persona is now that of a shabby, vanquished Southerner, Scarlet races through her barren home, frantically searching for anything that she can use to spruce herself up. There is fire in her eyes and a banging in her heart as she searches for a transforming answer to her appearance. She spies the one remaining set of ornate window drapes, and the solution hits like a bolt of lightning. Ripping the drapes from their anchors, she commands her one remaining servant to get the sewing supplies. Frantic fingers then race to measure, cut, push needle and thread through cloth, and transform that drape into a colorful gown that sweeps across the floor as Scarlet greets Rhet. Which description is more appealing to you? The second example involves the senses, while the first does not. And herein lies the single most important aspect of writing descriptive essays. You are creating a picture – one that appeals to as many senses as possible, so that the reader can actually place him/herself into the scene or with a person, etc. List the points (or qualities) that you want to address in the order in which they will be presented. Ask yourself the following questions once you have completed your rough draft. Does each paragraph address only one point? Remember always to consider this – what can your reader see, hear, smell and/or feel as s/he reads your description? The more senses you engage, the more memorable your description will be. (It also impresses instructors as they grade it).